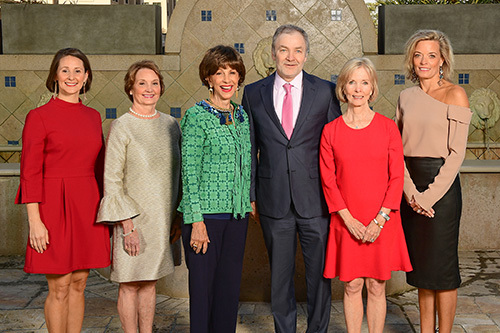 Fashion a Cure Show Co-chairs Lynne Rankin and Janet Turman, emcee Barbara Dooley, Winship Executive Director Walter J. Curran, Jr., MD, co-chairs Diane Barber and Greer Pope. Cancer survivor and organizing committee member Ada Lee Correll. 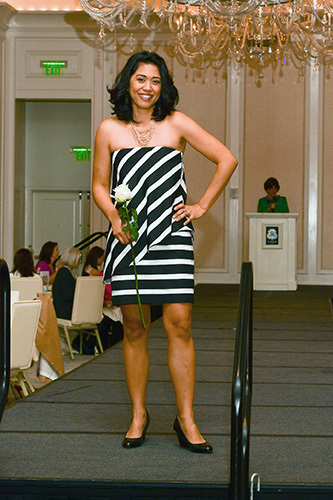 Glenn Family Breast Center at Winship Director Dr. Mylin Torres was one of the fashion show models. 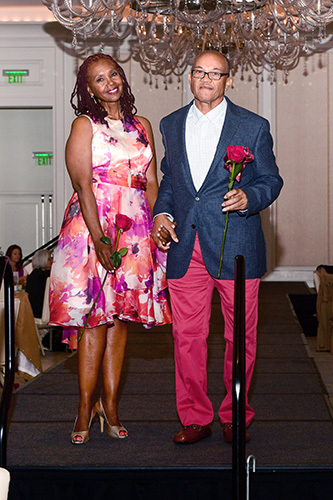 Winship cancer survivors Bari and Charlie Ross walked the runway of the fashion show. 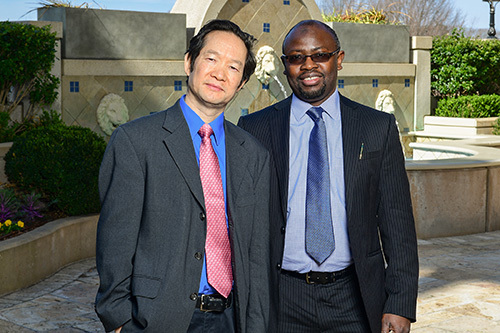 Xingming Deng, MD, PhD and Taofeek Owonikoko, MD, PhD received the Fashion Show Scholar Awards for their innovative work in the lab. Cupid helped to set the stage for Winship Cancer Institute's fifth annual Fashion a Cure Fashion Show held at the St. Regis Atlanta on Valentine's Day. More than 550 guests attended the event which raised more than $300,000 for the treatment and the research of cancers affecting women. During the event, Winship Executive Director Walter J. Curran, Jr., MD named two fashion show scholars: Xingming Deng, MD, PhD and Taofeek Owonikoko, MD, PhD. The luncheon event featured fashions from local boutiques and designers, modeled by cancer survivors, caregivers, Winship doctors and volunteers. An auction and raffle complemented the day's activities. The event co-chairs were Diane Barber and her daughter Greer Pope, and Janet Turman and her daughter Lynne Rankin. Barbara Dooley, the "first lady" of Georgia football, served as emcee of the event. The Fashion a Cure Fashion Show raises awareness and funds to advance research in cancers that affect women, raising over $845,000 since 2013.